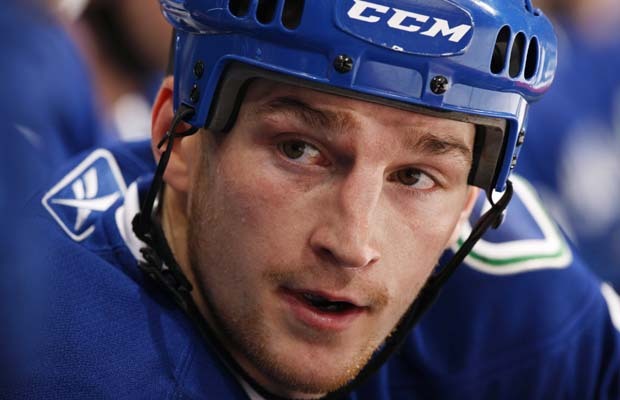 Current Winnipeg Jet and former Vancouver Canucks forward Rick Rypien was found dead. Both the Winnipeg Jets and the Vancouver Canucks issued statements expressing their condolences to friends and family of the NHLer. As TSN is reporting, Jets' captain Andrew Ladd and Michael Grabner offered statements via traditional channels and twitter. Rypien signed a one-year deal with the Jets in July worth US$700,000 after posting nine goals, seven assists and 226 penalty minutes over 119 career games with the Canucks. Speculation will likely run rampant over the coming days about possible causes of death. Rumours may get carried away due to a couple of personal leaves that Rypien was granted when he was a member of the Vancouver Canucks. Rypien was known as being one of the best - if not the best - fighters in the NHL. Pound for pound, few displayed his proficiency and tenacious style. Rypien fought some very large opponents including the 6'7" Boris Valabik and Hal Gill. Rypien also fought more seasoned fighters that matched up better in terms of both knuckle dusting skill and size, and acquitted himself quite well.